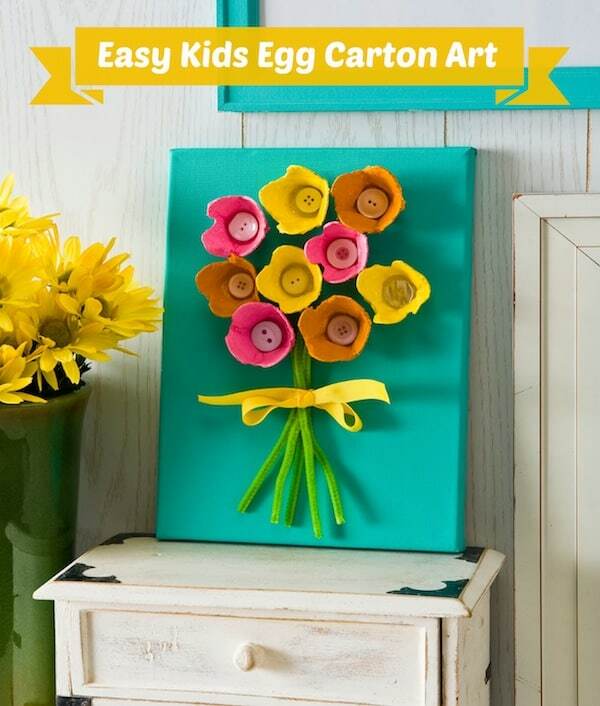 If you need an easy kids' craft idea with great results, this egg carton art is fun and sure to please. 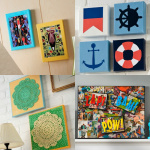 This recycled canvas art can be customized for any holiday or decor! Scroll down to the bottom of the post to watch a video of how it all comes together. I don't post nearly enough kids' crafts on this blog . . . which I intend to remedy today with this fun egg carton art. I love egg carton crafts, which is great because I'm doing a paleo eating thingy right now – so egg cartons are plentiful around here. Let's just say if I had room, it would be smart to get a chicken. Anyhoo, back to the egg carton art. If you are going to use acrylic paint like I did, you want to avoid the foam egg containers and go for the cardboard (paper-ish stuff?). I had a blast making this and your kids will too. 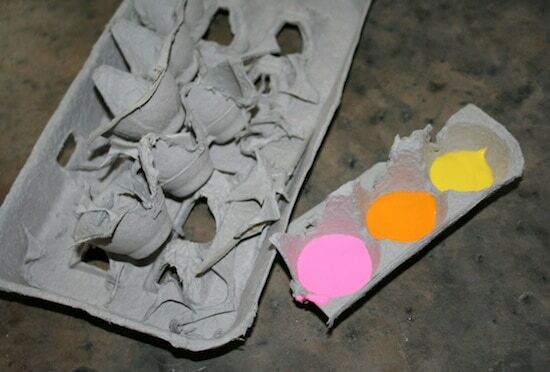 Here's how I made my Mod Podge egg carton art. There are just a few things I wanted to call out when doing this project. As I said, it's relatively easy, but I do think an adult should initially cut the egg carton into separate compartments. The kids can then shape them into flowers. However it is a little difficult to manipulate child's scissors on an entire carton, so do the dirty work of separating and then let your littles have at the project. 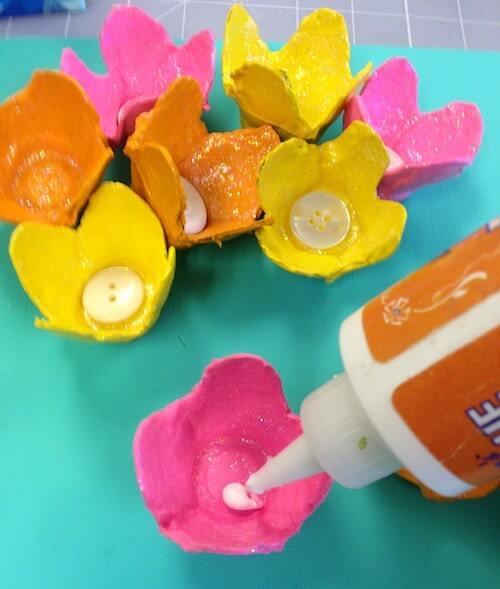 Another fun way to tackle this canvas is to layer the egg carton pieces to make more detailed flowers. That means sticking one compartment into another and gluing. I didn't do that on this canvas, but I plan to do it for a poinsettia one I'm planning for Christmas! 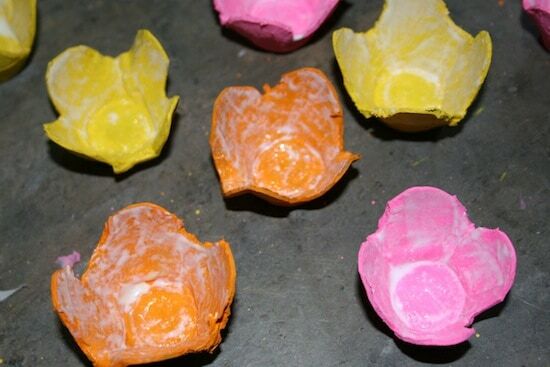 Learn how to make this easy egg carton craft below. Paint the canvas with any color of your choice. I chose Turquoise. Give several coats and let dry. 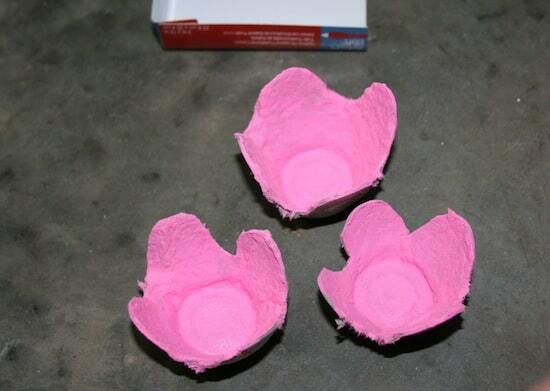 Cut up your egg carton. Each lil' egg container area is going to be a flower bud. Cut right down the middle and remove the excess areas. I trimmed each “flower” to have petals. 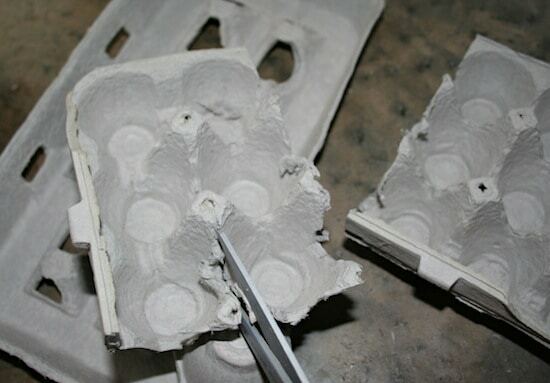 If you want to, you can also use the remaining egg carton to hold paint. I know – I'm a genius. 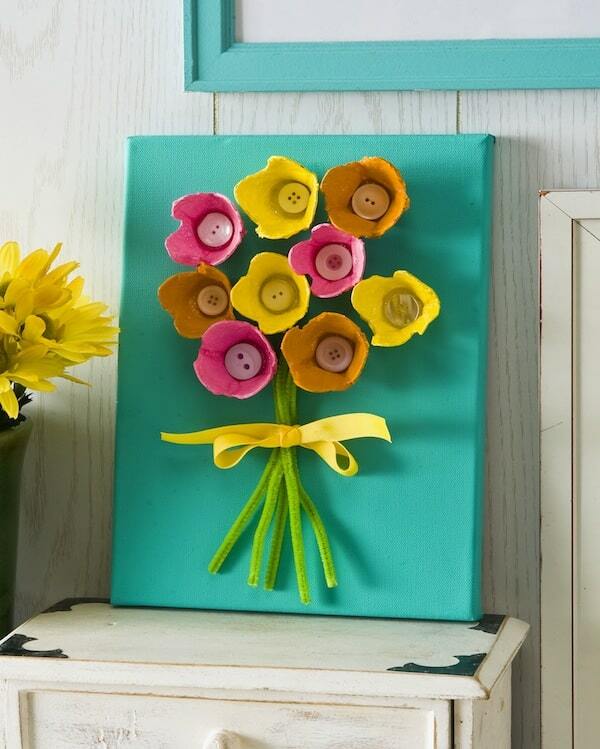 Paint the egg carton “flowers” with the paint colors of your choice. Give them several coats and let dry. Once they are dry, coat with Sparkle Mod Podge. 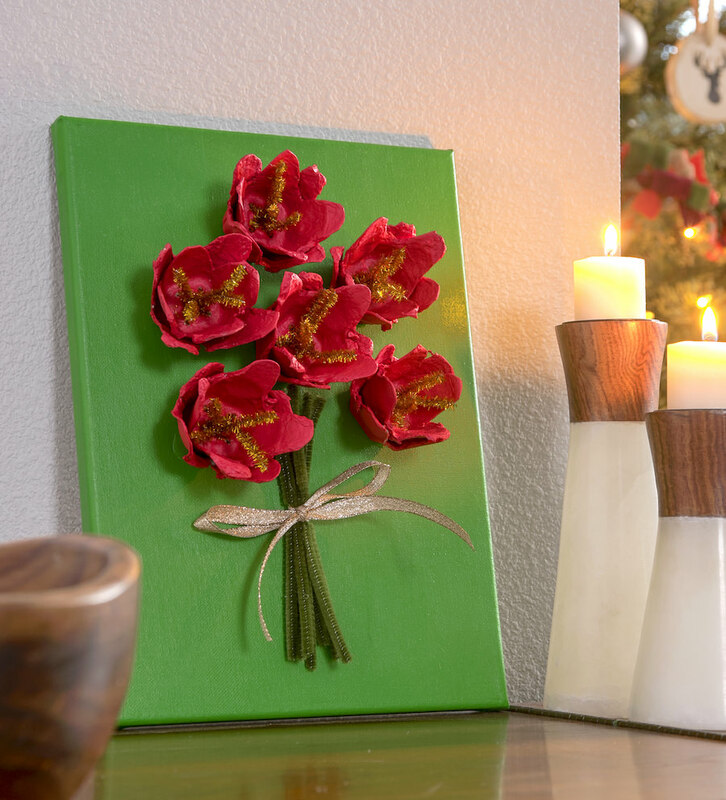 It's hard to see the sparkle in the final photo, but if you give the flowers several coats of Mod Podge they will really sparkle. It's so fun! 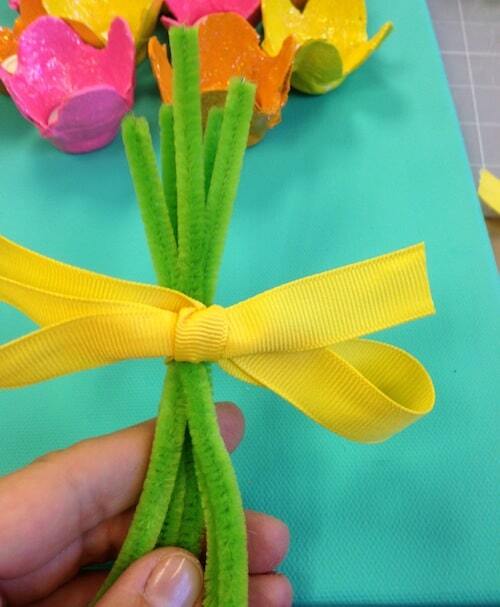 I trimmed pipe cleaners to the right length and tied them together for a stem. Then I glued to the canvas with craft glue. 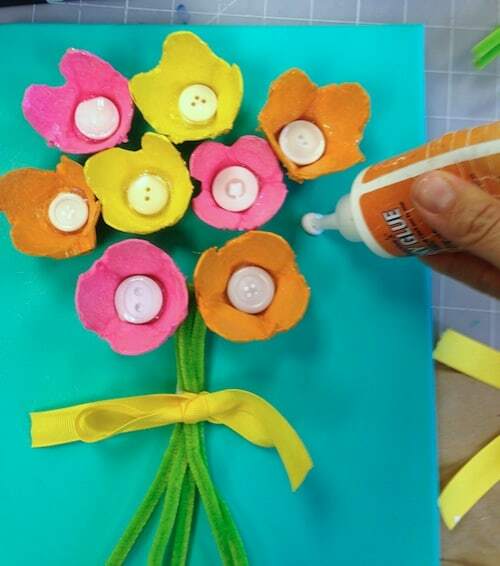 Each flower got a button glued in the center . . . .
And then the flowers got glued to the canvas. Let everything dry before hanging. Imagine all of the variations you could do. All the different colors . . . and what other shapes could you make with egg cartons? I'm excited to do this egg carton art project again and again. If you try it, let me know how it turns out. I promise you'll enjoy making these as much as your littles! Are you ready to see a video of the process? Just click “play” below! What a very lovely craft! Making it with my son & daughter this week 🙂 Thank you for the detailed pictures for the cutting part – very helpful! Love this! I’m in high school, but decided it would be a perfect craft to make for my grandmother. It turned out great! I decided to put small white pom pons in the middle of the flowers instead of the buttons. Both look so cute! Thanks so much! Awesome Olivia! I love the pom pom idea – I hope she loved it! proverò a farlo in primavera!! I think this would make a perfect gift for Easter or Mother’s day. 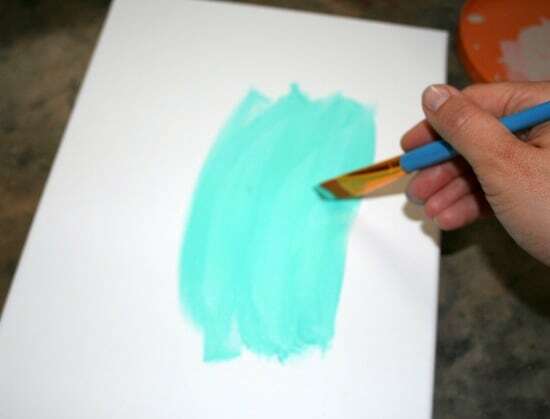 I love the colors you used, and using the egg cartons for holding paint- I would have never thought of that!